Release Date: July 26, 2013 – U.S.
"Fruitvale Station" begins with grainy cell phone footage of an actual shooting. Then it flashes back to a day in the life of Oscar Grant (played by Michael B. Jordan), a young 22-year-old man from Hayward, California. "Fruitvale" follows Oscar on the final day of 2008 and the first of 2009. He has a girlfriend, Sophina (Melonie Diaz, who resembles a young Eva Mendes), and a preschool-age daughter, Tatiana (an adorable Ariana Neal). He's a good son. He makes a special call to his mother, Wanda (Academy Award winner Octavia Spencer), that morning. It's her birthday. The film has a creative way of highlighting Oscar's calls and texts: Whenever he picks up his phone, letters and digits appear; and as he goes through his list of contacts, the names cycle on the screen. 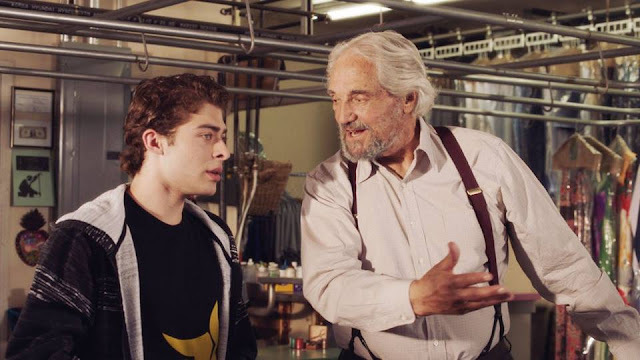 The movie meanders through his day, but it never gets boring. There are little incidents here and there – an argument with his girlfriend, a minor confrontation with a boss, a situation involving a stray dog at a gas station, a drug deal – but make no mistake, it's the calm before the storm. As soon as Oscar and his friends arrive at the Fruitvale train station to celebrate New Year's Day, the intensity ramps up. There's an incident involving two police officers, Caruso and Ingram (Kevin Durand and Chad Michael Murray). As soon as Kevin Durand appeared on the screen, I knew there was going to be trouble. From the repulsive Keamy on "Lost" to the sleazy promoter in "Real Steel," Durand specializes in playing absolutely repugnant human beings. Seeing his face stirs up unnatural levels of hatred in me – a rare feat for an actor, and a testament to how well he does his job. Murray, best known for lighter fare (such as "One Tree Hill" and "A Cinderella Story"), is no innocent babe in the woods here either. 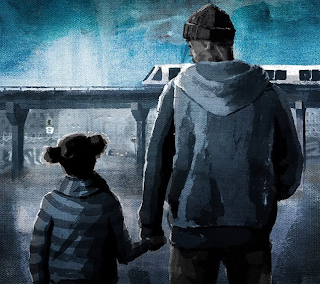 "Fruitvale Station" shows Oscar in a generally positive light, but it never turns him into an angel. He's still a human being, with his own set of faults and failings. Another writer or director might have been tempted to erase his flaws, but "Fruitvale" works so powerfully precisely because Oscar isn't perfect. MINOR SPOILERS: Some members of the audience will undoubtedly walk into the theater without any knowledge of the real-life incident that inspired this movie. I suspect they'll process the events somewhat differently the first time they see them all unfold. Even then, it isn't too difficult to figure out that things aren't going to end well for Oscar. The film's almost leisurely pace portends a tragic final act. I knew it was coming, but seeing it transpire on screen still had a powerful effect. I walked out with a heavy heart and numb feeling, almost irritated by the bright, harsh sunlight beating down on me. While watching "Fruitvale Station," you can't help but think about life, choices, and the utter randomness of luck – both good and bad. I'm guessing that second and third-hand accounts were used to piece together Oscar's activities and whereabouts, but since there's no possible way for anyone to know everything he said and did in the many moments he spent alone, I can only assume that a few creative liberties were taken to tell his story. I go into any Hollywood biopic expecting some degree of that, so it doesn't change my opinion of "Fruitvale Station" one bit. Much has been made of Michael B. Jordan's incredible performance. It is never flashy or showy. It's subtle and sneaks up on you. It feels real and lived in. (Spider-Man's "Spidey-Sense" certainly tingled after seeing it.) The Academy should recognize Jordan with a well-deserved nomination. Octavia Spencer is just as good. Even though she recently won an Oscar for "The Help," I hope her work in "Fruitvale" isn't overlooked. Her portrayal of a mother and all that entails – worrying, tough, sensible – is raw and touching. As good as she was in "The Help," she's even better here. Most movies like this would end with a still-frame shot of the main character. "Fruitvale Station" lingers on just a little while longer. Melonie Diaz's Oscar chances are probably less likely, which is a shame, because she is every bit as good as her co-stars. Just watch the way she navigates the film's final scene. It's a heart-wrenching moment that will stay with you for a long time to come.